We begin our trip in the south of Iceland with a visit to the geothermal area Gunnuhver and sightseeing at the famous Blue Lagoon. 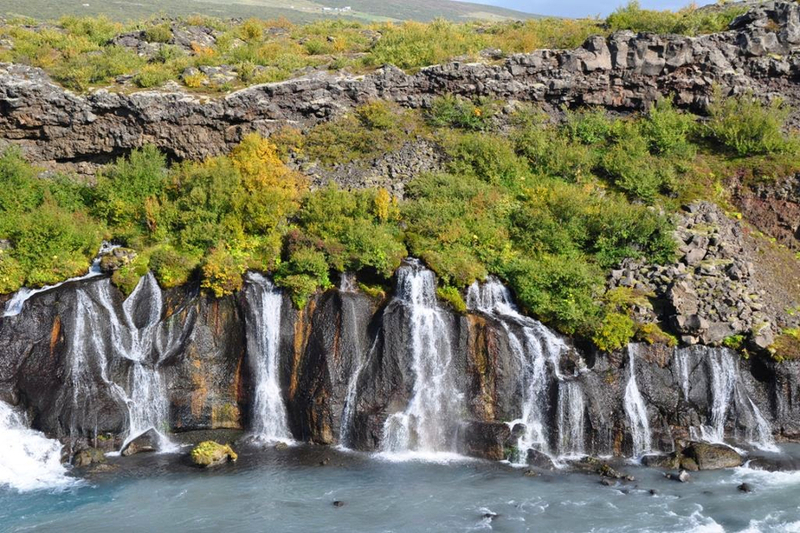 Afterwards, we will drive to the beautiful Borgarfjörður and his natural wonders: the waterfalls Hraunfossar and Barnafoss and the most powerful hot spring area Deildartunguhver. 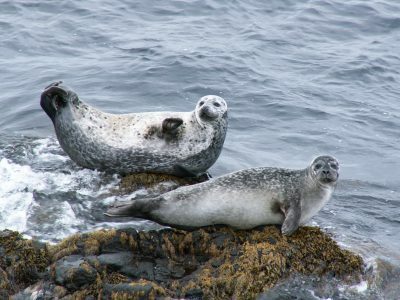 From there, we will journey onwards to the northwest of Iceland, where we will visit the Vatnsnes peninsula with Iceland’s biggest seal colony, black beaches and the unique basalt formation Hvítserkur. Then the festival starts, where every year in September thousands of sheep and horses are driven down from the highlands, where they graze all summer, and return to their local valleys. 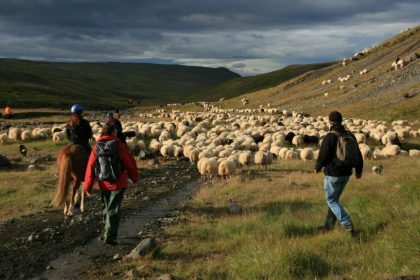 There is no other time when icelandic traditions are as much alive as during the sheep round-up called “réttir”. 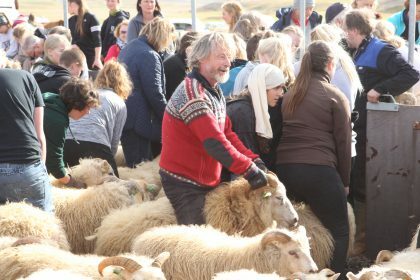 This yearly event is a public festival and a good way to get to know Icelanders and some of their oldest traditions. And last but not least: The northern lights season starts in September! Reception at the airport Keflavík between 15:00 and 16:30 or in Reykjavík around 17:30. Transfer to the beautiful Borgarfjörður, where we spend the night in a cosy hotel.